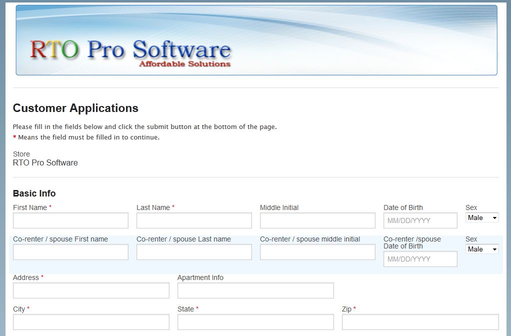 RTO Pro can be set up to import customer applications through your website. This feature once setup and integrated with your website will allow you to accept customer applications for rentals / sales, from your website and automatically import the customer information into RTO Pro as a pending customer. You can then view a list of pending customers and go through your approval process. Once approved you would then create the rental / retail agreement for the customer. There are no additional charges to use this feature. There are two options for using this feature, you can use the RTO Pro Web Services, which is included with the RTO Pro support/lease plan or you can integrate the feature completely into your own website. If you use our service there would be no programming and no setup required on your website, except for adding a link or a button to it to link to the RTO Pro applications portal we create for you. The RTO Pro Web Services Applications portal uses a responsive design so it works well with mobile devices and tablets as well. If you do not have a website now and sign up for our webpay service we will also create a website for you, register a domain and host the website for you, all at no additional charge. Your page would have your banners, logos and backgrounds. To sign up for this service or for more info call 800-351-6299. 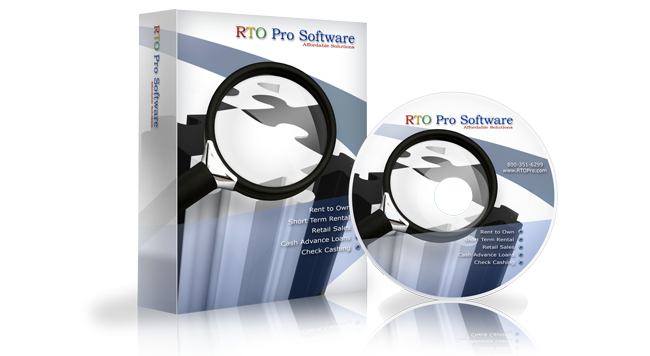 RTO Pro is point of sale / point of rental software for rent to own and other rental companies.